All our stainless Stern & Duckboard Rails are manufactured to be either removable or fixed from a range of different diameter tube and electropolished to reduce tea staining and increase the longevity of your rails. All our Stern & Duckboard Rails are manufactured from high-grade 316 marine stainless steel and are fully electropolished to reduce tea staining and increase the longevity of your rails. Our Stern & Duckboard Rails can incorporate either solid mid rails or wire mid rails. Removable or fixed Cookout BBQ or bait board pins can also be accommodated within the rails (can also be manufactured to house other alternative BBQ or bait board brands). 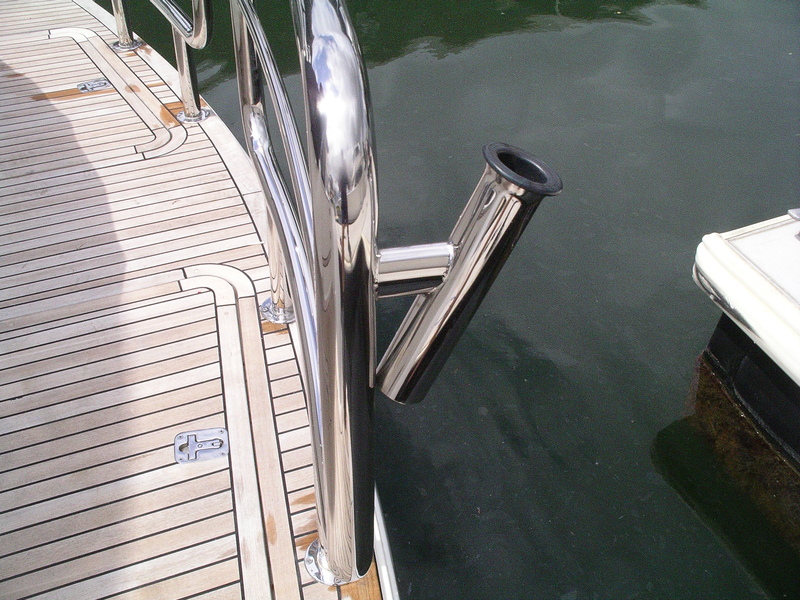 Our Stern & Duckboard Rails can also house rod holders, fender baskets, outboard brackets and gas bottle holders. 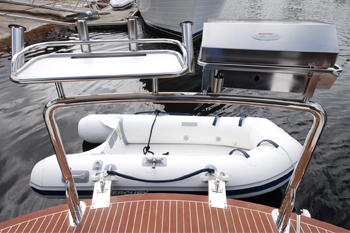 They can also be fabricated to incorporate dinghy snap davit mounts to store your dinghy in an upright position and out of the water, to maximise the best use of space on your boat. 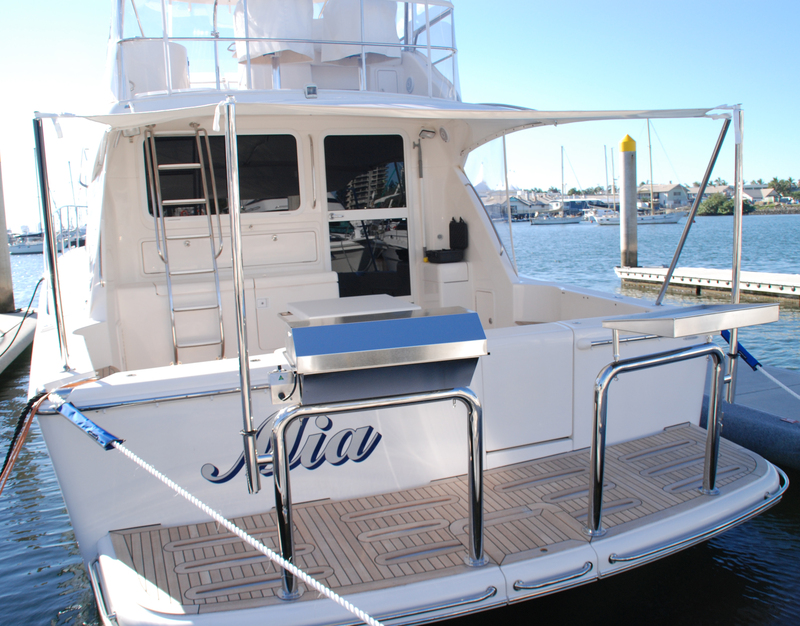 All our Stern & Duckboard Rails are custom designed and fabricated to suit the curves of the vessel's duckboard. All our Stern & Duckboard Rails are Australian made and built at our Gold Coast manufacturing facility in Ormeau, Queensland. Have a question or query about our Stern & Duckboard Rails?